embers of burning silver light. all is calm, quiet, and bright. Neither bird nor bee, dog nor tree stir. into the noonday of Time? This poem is an attempt to share what transpired during the solar eclipse of Aug 21, 2017. 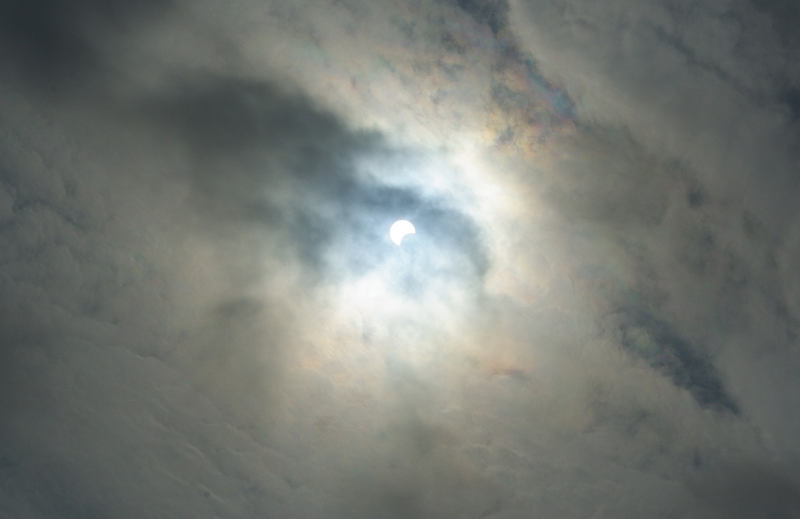 I was in a geographic area that only had a partial – 80% – eclipse, but what transpired – for me – was/is inexpressible.